Works are due to begin on site in August 2016 for the construction of a new state of the art £500,000 community centre including meeting rooms, a multi-functional recreational room, a counselling room and ancillary accommodation. 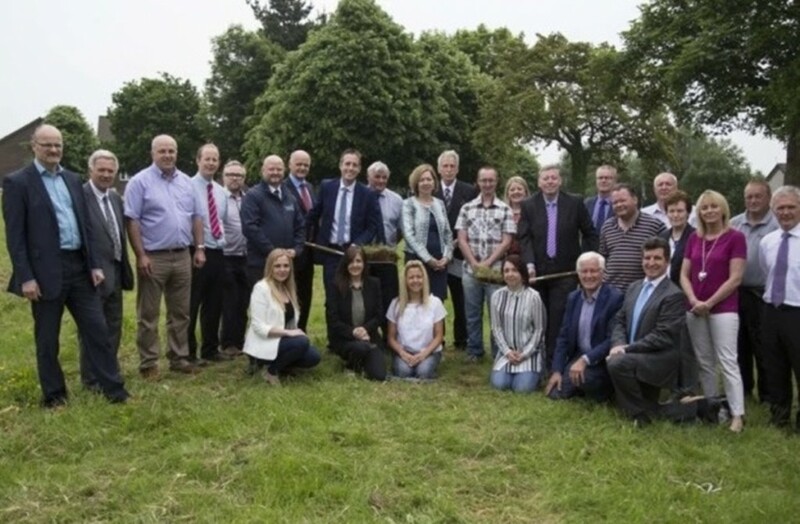 The project, for Lisburn & Castlereagh Borough Council, sees the creation of a much needed facility in the heart of the local community, to meet the needs of local people and future generations to come. Pictured at the site of the new Lisburn North community centre are: Minister for Communities Paul Givan MLA; Dr Theresa Donaldson, Chief Executive; Jonny Corry, North Lisburn Community Investment and Alderman Paul Porter, Chairman of the Council’s Leisure & Community Development Committee alongside Colum McNicholl, Managing Director of JPM Contracts Ltd, Working Group members and members of the Council’s Leisure Services Committee.